The surprise first dance is one of the most simple ways to subvert the norms of a wedding. 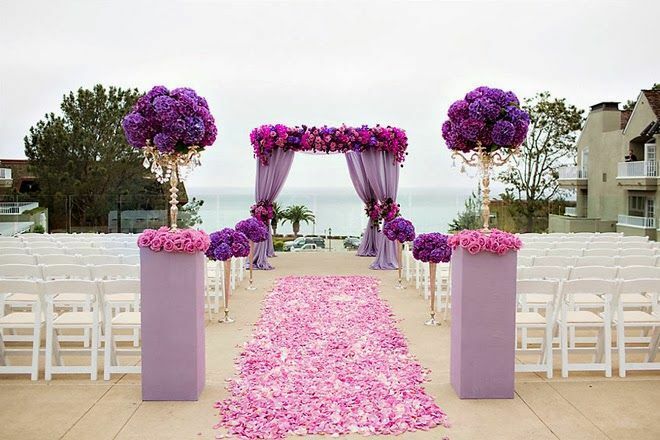 Weddings can be very choreographed, and the element of surprise can inject a fresh dose of romance into the proceedings. 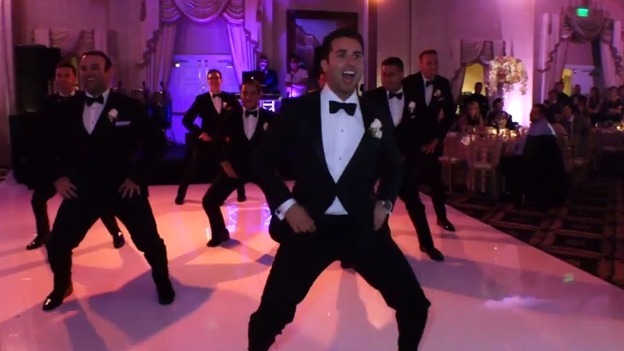 If you’re the groom, then perhaps think about getting some secret dancing lessons. There are some great videos out there of spontaneous, choreographed first dances and examples of spouses going the extra mile to make the wedding day that extra bit special. 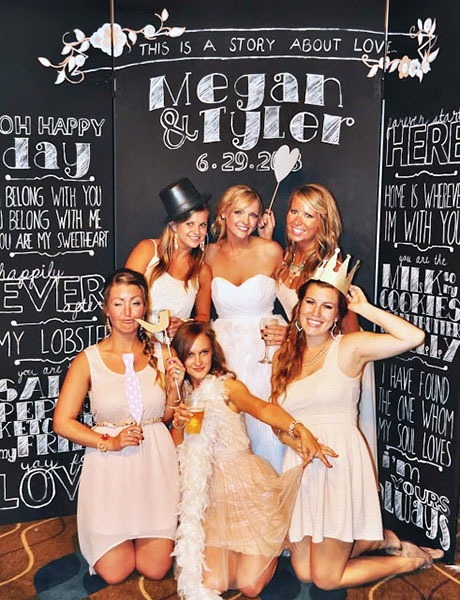 Wedding photo booths are a great way to make and ferment memories on your wedding day. When you think about it, wedding photo booths allow the bride and groom a chance to frame the fun had by their wedding guests. From romantic photos of other couples, to goofy group photos, organise a photo booth for your wedding and people will be left to have their own fun. 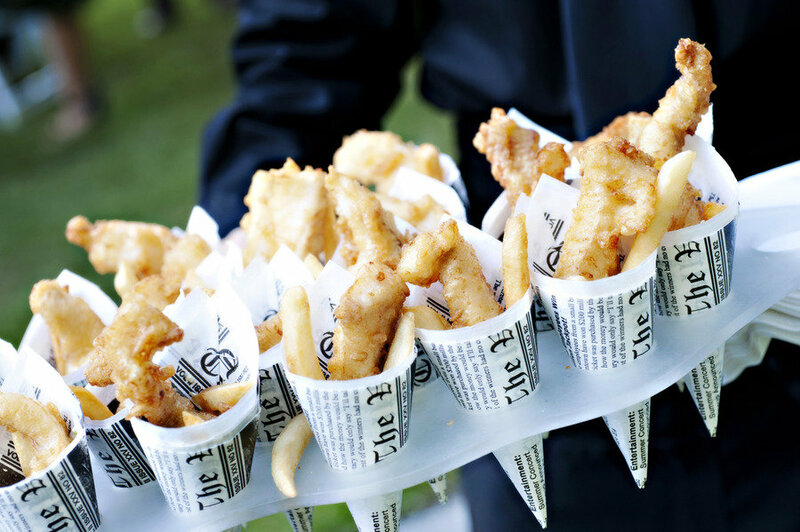 A burger or fish and chip van will go down a treat with your guests. As the night winds down and the alcohol supplies begin to dwindle, it’s likely that people will be looking for a late night snack to soak up the booze. A burger van is a worthwhile expense if you want to end the night on an informal note. 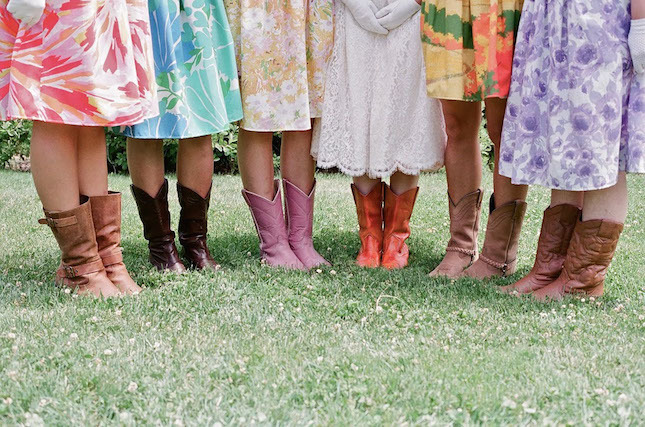 The county fair themed wedding is a great idea if you are in a position to hold your wedding outdoors. If the weather is right and the wind is blowing in the right direction, then a county wedding theme will make the whole day a bit more informal, and guests don’t have to worry as much about the dress code. From homemade bunting to outdoor table themes, the whole wedding becomes that bit more personalised. 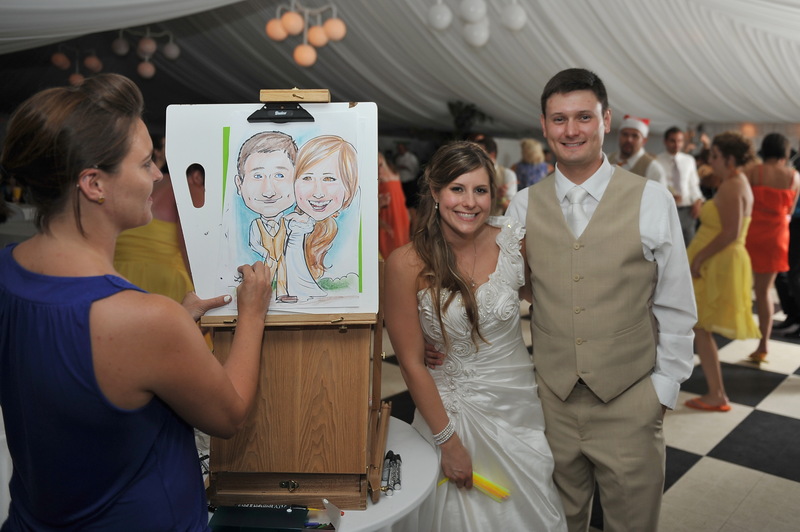 A wedding caricaturist serves a similar function to the photo booth – it allows the guests to take home a tangible memory of the day. Some of the best wedding caricaturists will offer a bespoke service for the bride and groom and the top table; for example, the happy couple can get their own pre-wedding caricature before the day’s events begin. 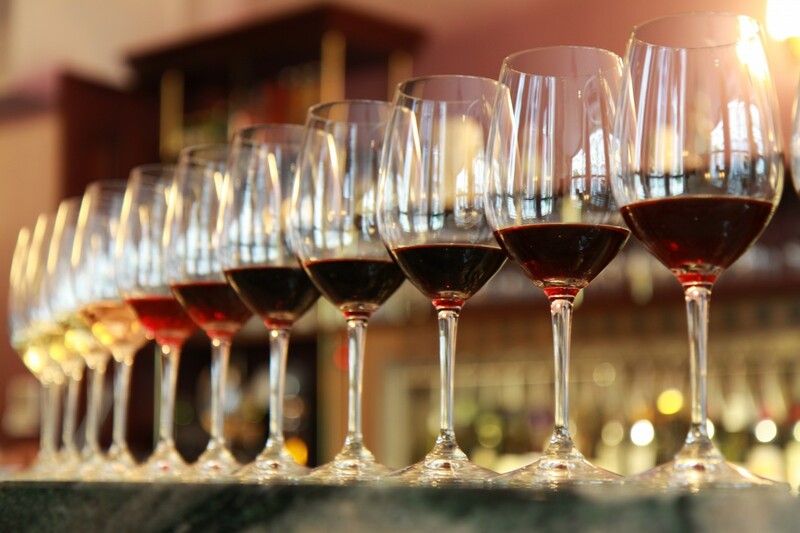 Wine tasting or craft beer tasting allows guests to let their hair down in a cultured way. I would hazard a guess that the majority of your guests will not be regular wine tasters, so this would be an imaginative addition to the catering budget. Craft beer is a relatively new craze in the UK, but beer tasting is worth considering for the guests who aren’t wine drinkers. If you’re the bride and groom, and you’ve got a taste for the theatrical, then you can provide some of the entertainment yourself. Think about the most dramatic, memorable, or funny way you could enter the wedding venue. It’s wise to consider budget and logistics with this one; blowing thousands of pounds of your wedding budget on five seconds of theatre might not be the best allocation of your resources. Entering your wedding via boat or helicopter may be memorable, but don’t forget it will take a lot of forward planning. Conversely, leaving the wedding to the closing credits from Star Wars is a simple and effective way to raise a smile from the guests. Never forget that children at a wedding have a tendency to get bored – even in the fairy tale setting of a wedding. So making sure that your wedding is child-friendly is another great way to ensure that everyone has memories that they can treasure. Goodie bags for children on every table are a brilliant way to keep young people entertained. 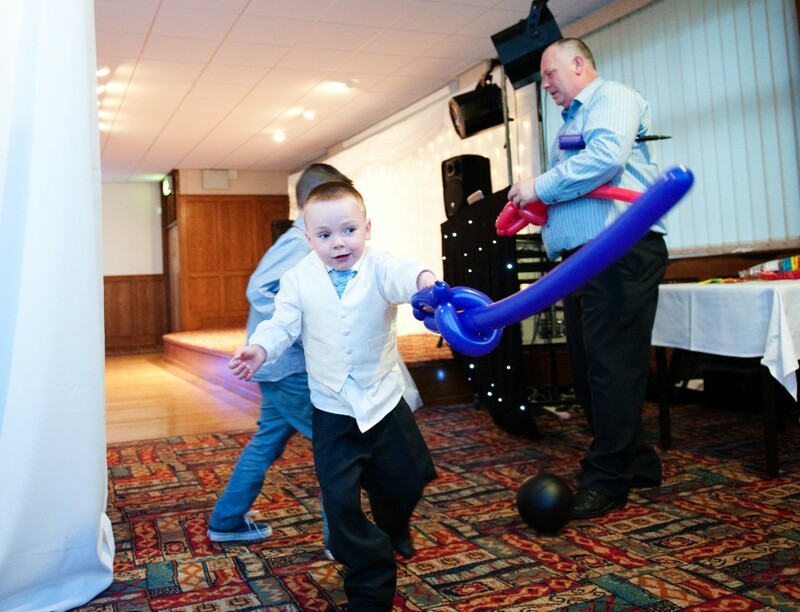 Why not even create a children’s play area, allowing younger guests to enjoy the wedding on their own terms. What ties the other nine ideas on the list together is the sense of spontaneity they give to your wedding. 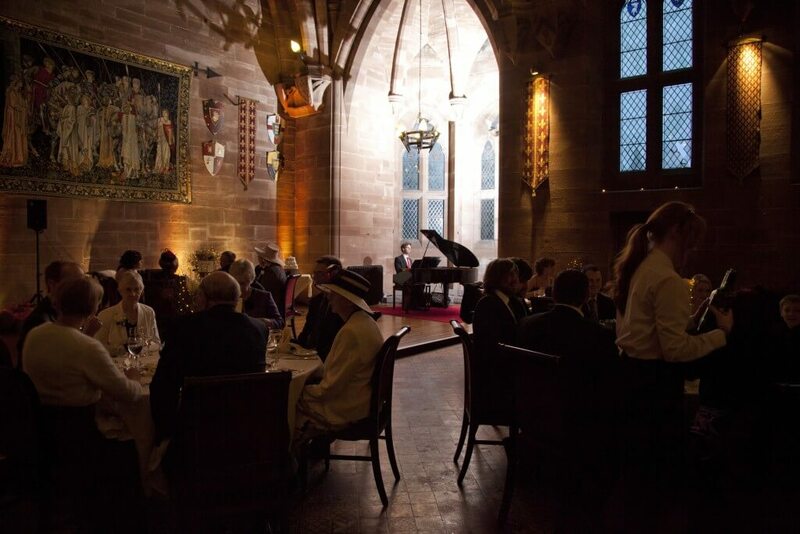 Your day will be planned down to the last detail but the key to a truly memorable and entertaining event is to make the whole day seem spontaneous. The best weddings will create a sense of wonder mixed in with the traditions and trappings of the day. The trick is timing. 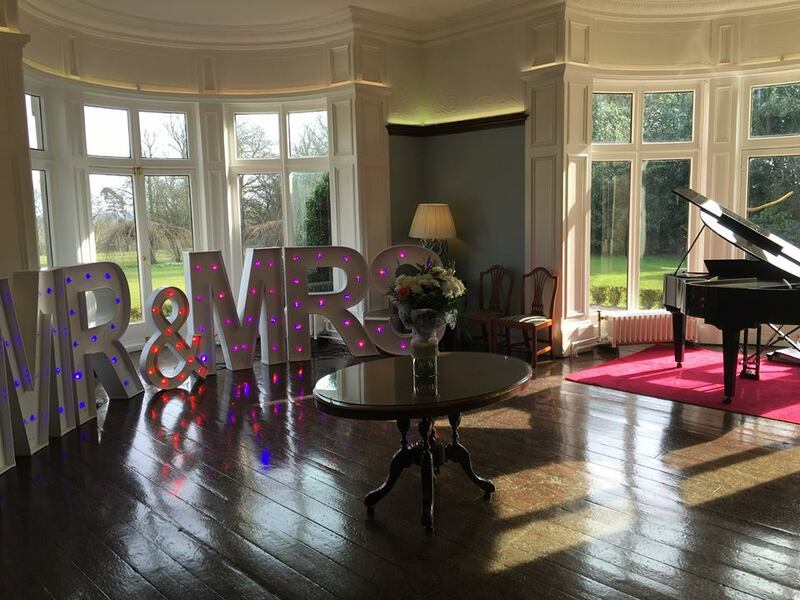 Whether it’s the ice cream vendor selling cold refreshments outside the wedding venue, or the celebrity lookalikes mingling with the guests, the best weddings will fulfill our expectations, whilst still leaving room to surprise.